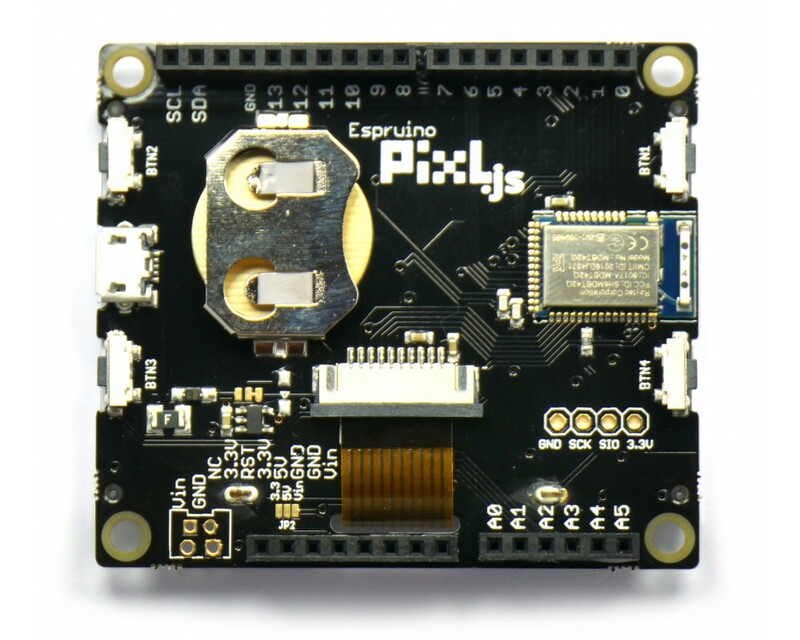 The Pixl.js is a Bluetooth LE device with a connected display and is based around the Nordic Semiconductor nRF42832 SoC. The nRF52832 SoC is a powerful, highly flexible ultra-low power multiprotocol SoC. The nRF52832 SoC is built around a 32-bit ARM® Cortex™-M4F CPU with 512kB + 64kB RAM. The embedded 2.4GHz transceiver supports Bluetooth Low Energy, ANT, and proprietary 2.4 GHz protocol stack. The Pixl.js can talk and control other Bluetooth LE devices making it a good option for mesh networking applications. 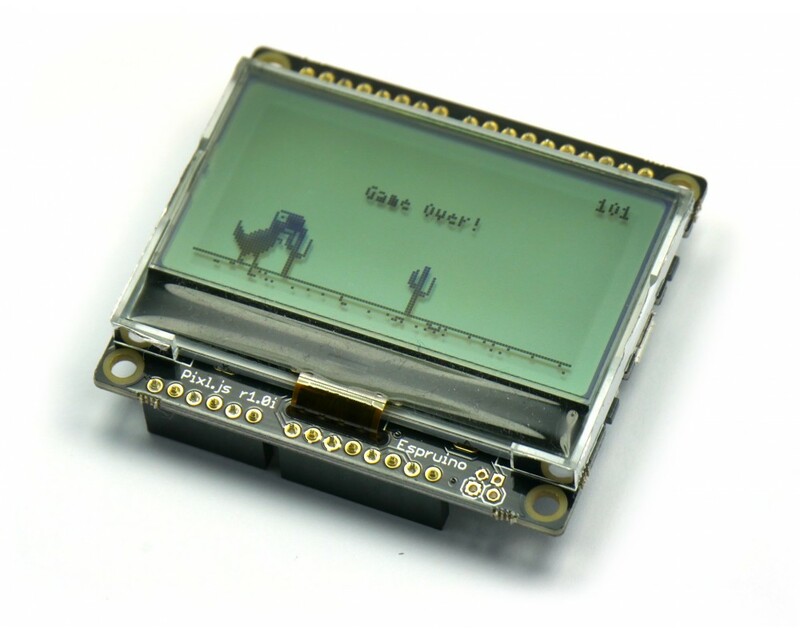 It can act as a wireless display, a conference badge, or as a notification message console. The board measures about 60mm × 53mm × 15mm and the LCD is a 128×64-pixel monochrome display that features a white backlight. 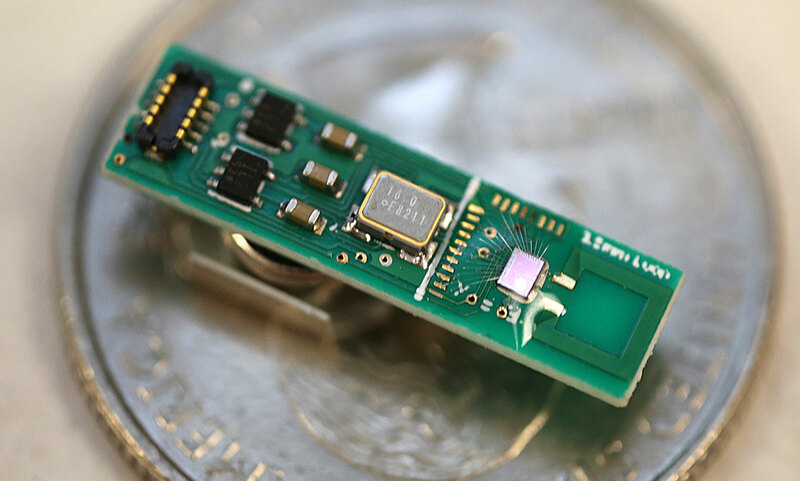 The board is very power friendly and can be powered from an attached micro USB connector and a CR2032 coin cell battery which can give it a whopping 20-day life of juice. 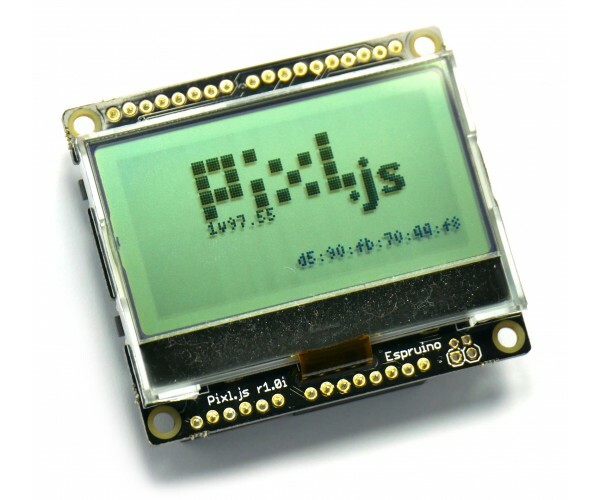 The Pixl.js board comes with some similar Arduino footprint. It has a standard Arduino GPIO header beneath it making it able to interface with existing Arduino shields. The board packs a lot of features and doesn’t even require a driver when plugged into a computer. Pixl.js with an Arduino headers footprint. 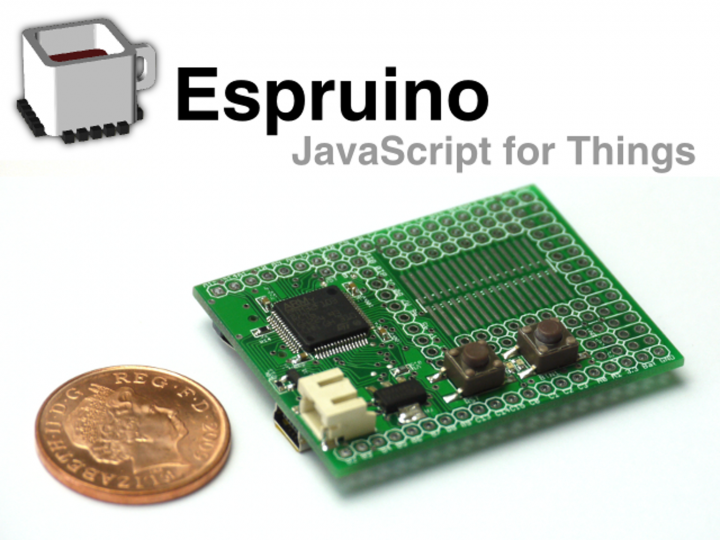 The Pixl.js board is available for purchase for £36.00 from the Espruino Store, and example tutorials are available on the Espruino site. Hi, I'm software, a hardware guy, and a technical writer. Have had a stint with the EdTech industries, but mostly interested in the space of deploying AI for edge computing. Otherwise, I am writing or coding about some technology pieces covering IoT, GPU computing, LoraWAN, PCB, Machine Learning, Precision Agriculture, Open Electronics, and related fields. Got a tip, freebies, launch, gig or leak? Contact me on Twitter, or via email: charlesayibiowuAThotmail.com. I don't bite.